The last several days have been devoted to offering readers quick summaries of Genesis, Exodus, Leviticus and Numbers. These first four books of the Bible and the fifth (Deuteronomy) function as a unit in God's saga of His people: the nation of Israel. Exodus lies at the heart of the five, recording the birth of the nation from a group of between two to three million people. Israel is the only nation on earth that came forth in antiquity without having conquered a prior people or culture. If anything, it had been enslaved for hundreds of years. The only explanation for such an unprecedented birth would be the fact God had called it out of a veritable nothing into being. The Book of Genesis functions as the prequel to Exodus. We find God calling forth all of space-time reality out of nothing into being in its opening chapters. By the time we arrive in Genesis 12-17, we find God using Abraham and a Barren Sarah to bring forth a son - Isaac. From this one family would come forth the Hebrew peoples through Jacob (Isaac's son) and Jacob's twelve sons. God is fond of repeated patterns in His word to drive home the point of His redemptive purposes. The books of Leviticus and Numbers function as the sequels to Exodus, detailing 40 years of life from the harsh whip of Pharaoh to following God in the desert. God's grace as Yahweh figures centrally in the dramatic pages of these books. 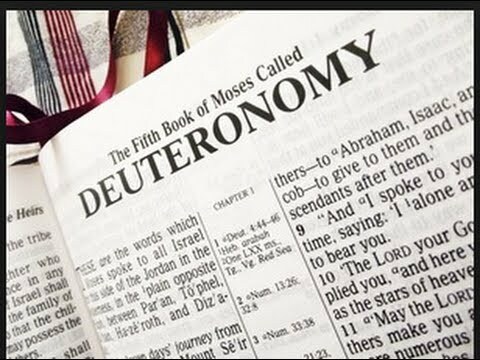 Deuteronomy operates as the dramatic conclusion to not only this incredible sequence of events, but also to the end of Moses' life. We have followed Moses from birth to his 120th year. Today we close out our survey by offering up a quick summary of the Book of Deuteronomy. Moses has been leading the nation of Israel for 40 years. Two generations of Jewish people would be born under his watch. Yahweh had revealed the "Torah" or law by Moses and the Tabernacle to the first generation. In Numbers 13 the first generation rejected the report of the two of the twelve spies with respect to the promised land, resulting in God's judgment and barring of them from ever entering into the land. Just as God judged Adam and Eve and forbade them access to the Tree of life as a result of their breaking the Covenant of works in Genesis 3, we seem to find a similar set of events replayed in the first generation of Israelites. Thankfully God offered Adam and Eve a second chance by extending unto them a covenant of grace: blood bought redemption through His grace and received upon a response in faith to His Gospel call. The tabernacle revelation functions as the pictorial illustration of God's gracious dealings with His people. He knew they would fail and still chose to reveal the Tabernacle. It would be the second generation that would end up being encamped on the Eastern Banks of the Jordan River. Although their parents had failed, they were sustained for 40 years by Yahweh through the mediation of grace He afforded them through the tabernacle system. Foreshadowed in the tabernacle system is the promise of salvation which would be the ultimate Person of the Son in human flesh - the Lord Jesus Christ. As God spoke through Moses, Moses delivered the words of God to the people of God. Deuteronomy records those words, just like the other four books prior. Moses is reaching the 120th year of his life, and so God will give him a final series of sermons to deliver to this second generation of Jewish people. Many of them had not yet been born when God had originally revealed Himself in the Red Sea and Mount Sinai events in Exodus 12-20. 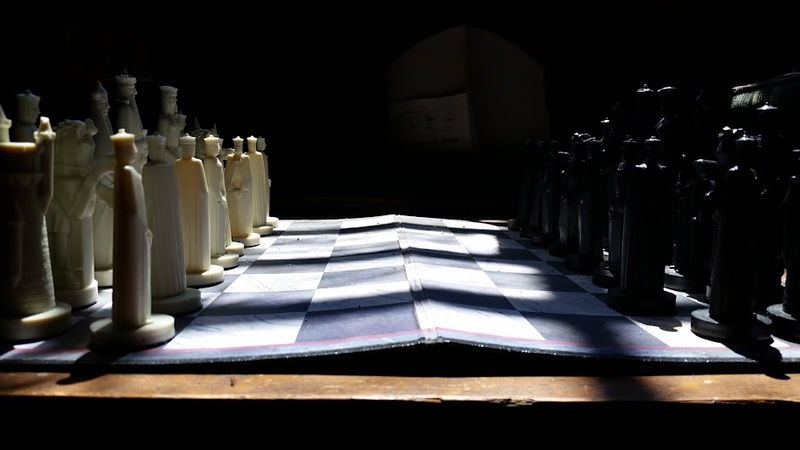 They needed instruction and rehearsal of their redemptive identity. Deuteronomy looks backward and then forward to what they'll have to face when they do enter the promised land under Joshua' leadership in the Book of Joshua. Over a period of less than a year Moses delivers these addresses. The redemptive identity of the nation as a chosen, called and committed people is explained. Yahweh as the Covenant keeping God, the Redeemer of His people and the Protector is emphasized. We find Jesus Christ and His three-fold offices foreshadowed for us in the Book of Deuteronomy. First, we find Jesus as our King foreshadowed in Deuteronomy 17:15. Second, we are reminded of Jesus our High Priest who represents us before God in Deuteronomy 18:1. Then finally, we see pictured Jesus our Prophet who represents God to us in Deuteronomy 18:18. In addition to the offices of Christ, we find the work of Christ being foreshadowed in the various festivals and feasts that are listed in Deuteronomy 16. The Passover depicts the Passover lamb and the commemoration of the Exodus from Egypt in Deuteronomy 16:1-8. Jesus o course fulfilled the Passover Lamb imagery by coming to be the Lamb of God who would die in the sinner's place. The feast of unleavened bread in Deuteronomy 16:8 recounts how the Israelites had to skip putting yeast in their bread on the night they fled Egypt and crossed the Red Sea back in Exodus 12-15. On the third morning following their initial setting out from Egypt, God closed the Red Sea over Pharaoh and a pursuing army. Deliverance had come. The Feast of unleavened bread would be the time when Jesus would be in the tomb for three-days and then rise from the dead to demonstrate that what He had done on the cross was accomplished and finished. We could say more about the remaining feasts of Pentecost (picturing Pentecost and Christ's sending of the Spirit) and the remaining feasts which point to what will be His second coming. Deuteronomy abounds in pictures, prophecies and patterns pointing to the Lord Jesus Christ. Wherever we see portraits of Jesus Christ, we will also find applications pertaining to the Christian that is in relationship to Him. We have only skimmed the surface in our last several days of journeying through Genesis through Deuteronomy. These five books are called in the Hebrew "Torah", meaning that which "guides". In the New Testament we find the authors using the Greek word translated "law" to define this set of books. As the foundation for the Old Testament, the Torah points the way forward to what would become the other two major divisions of the Hebrew Old Testament (the "prophets" and the "writings"). Jesus remarks in Luke 24:44 and John 5:39-40 that the "Torah" pointed to Him and that Moses was the author of all five. Whenever we grasp the significance of these five books, we are given access to rich insights in the remainder of the Bible, the work of Jesus Christ and the saga of redemption.